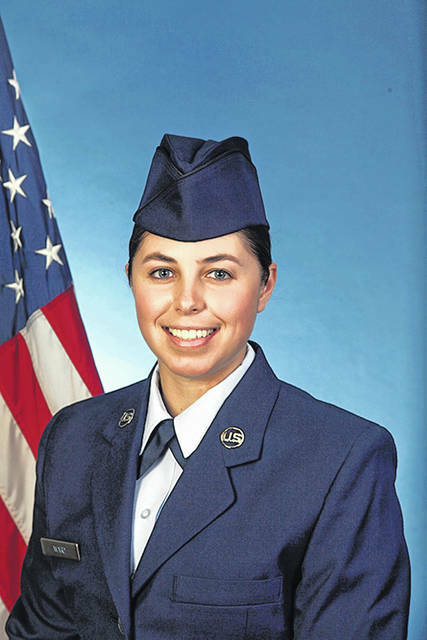 U.S. Air Force Airman Craig A. Smith Jr.
• U.S. Air Force Airman 1st Class Heather E. Gilbert graduated from basic military training at Joint Base San Antonio-Lackland, San Antonio, Texas. Gilbert is the daughter of Dusty Gilbert of Alger, and granddaughter of Dawn Gilbert of Powell, Wyo. She is a 2015 graduate of Powell High School, Powell, Wyo. • U.S. Air Force Airman Craig A. Smith Jr. graduated from basic military training at Joint Base San Antonio-Lackland, San Antonio, Texas. Smith is the son of Craig A. Smith Sr. and Katrina R. Trapp and step-son of Evelyn Y. Deitz-Smith, all of Sidney. He is a 2015 graduate of Christian Academy Schools, Sidney. 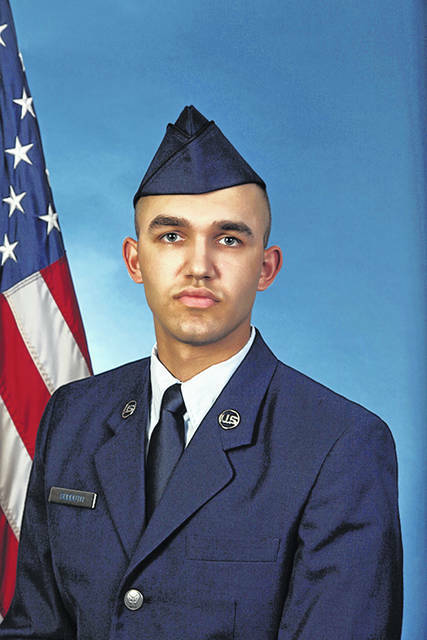 • U.S. Air Force Airman Austin A. Sudduth graduated from basic military training at Joint Base San Antonio-Lackland, San Antonio, Texas. Sudduth is the son of John A. and Jennifer R. Sudduth and brother of Skylar P. Sudduth of Van Wert. He is a 2017 graduate of Van Wert High School, Van Wert. 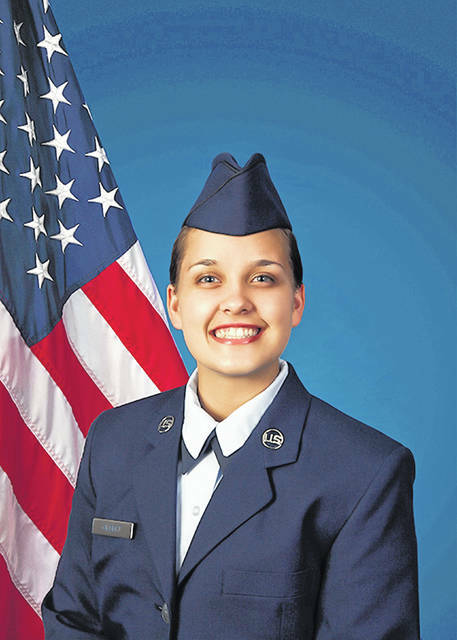 • U.S. Air Force Airman 1st Class Emily T. Ward graduated from basic military training at Joint Base San Antonio-Lackland, San Antonio, Texas. Ward is the daughter of Tracy and Dale Smith and wife of Trevor Ward, and of Zanesfield. She is a 2010 graduate of a homeschool program in Zanesfield. 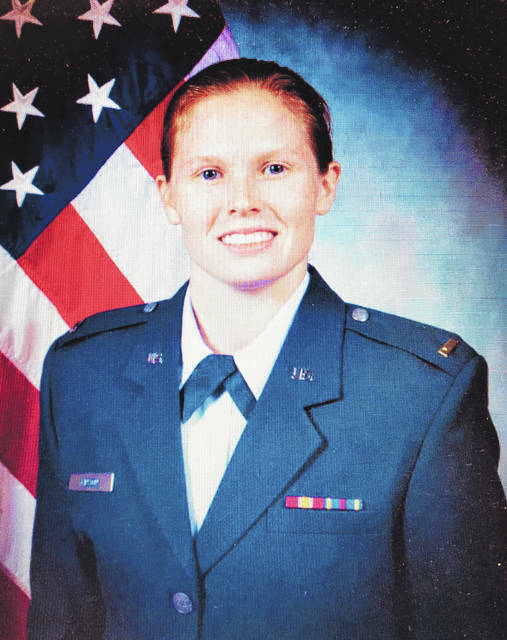 • Julie M. Vinson has been commissioned as a second lieutenant in the U.S. Air Force after graduating from Officer Training School (OTS) at Maxwell Air Force Base, Montgomery, Ala.
After graduating as officers, they students will attend a career specialty technical training program to further develop their leadership and professional skills. Technical training areas will include pilot, navigation, and air battle management; space and missile operations; and several support-oriented career fields. Vinson is the daughter of William Vinson of Little Hocking, Dorothy Fuerst of Columbus Grove., and Becky Vinson of Little Hocking, and sister of Greg and Kelly Vinson of Chicago, Ill., and Leanna Vinson of Columbia, S.C.
She is a 2010 graduate of Federal Hocking High School, Stewart. She earned a bachelor’s degree in 2014 from Ohio University, Athens. 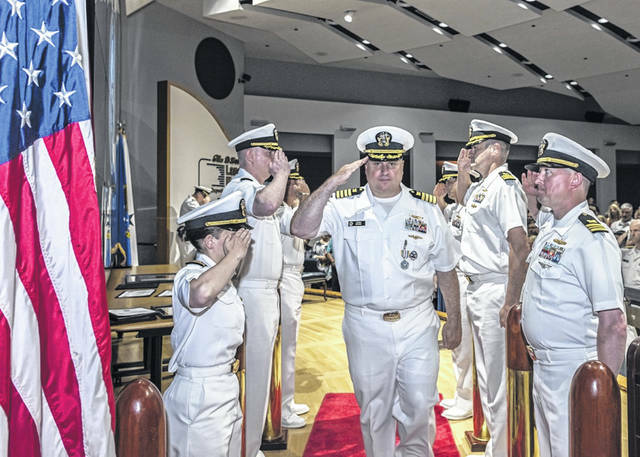 • Navy Captain Justin D. Debord celebrated 25 years of military service during a retirement ceremony in the Operations Center Auditorium June 29 at the Defense Supply Center Columbus. In his final assignment, Debord served as the director of Strategic Acquisition Programs for the Defense Logistics Agency Land and Maritime. Debord is a native of Waynesfield, and an alumnus of The Ohio State University, Michigan State University Eli Broad School of Management and the Stanford Graduate School of Business Executive Education Program. https://www.limaohio.com/wp-content/uploads/sites/54/2018/07/web1_smith-toned_ne20187310495378.jpgU.S. 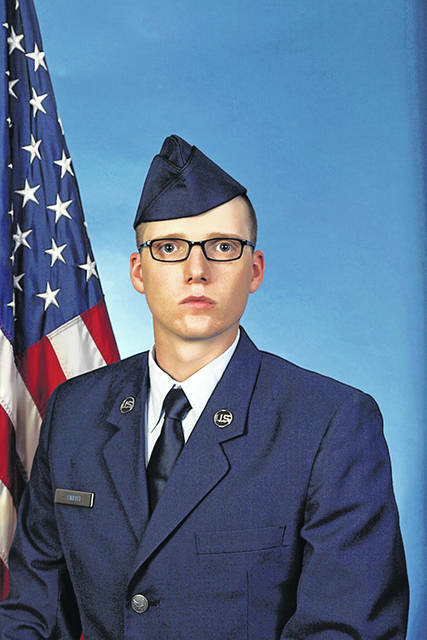 Air Force Airman Craig A. Smith Jr.